It might seem contradictory that the landscapes of the Romantic movement (with which William Turner’s work is usually associated) are so beautiful. The Romantics of the 18th and 19th century were responsible in many ways for destroying the traditional forms that preceded them and opened the way to ugliness of modern art. Their emphasis on personal feelings and especially intense emotion of the artist is contrary to the traditional idea of painting in conformity to objective standards for the greater glory of God. There is a desire to communicate emotion in the baroque also, but it is not the emotion of the artist that is emphasized. Rather, it is the emotion of the person painted or sculpted that is portrayed. Bernini’s St Theresa of Avila, for example, reveals her emotional state, not his. Subjectivity is not necessarily a bad thing however: when those subjective feelings coincide with what is objectively true, there is the possibility of something good. Broadly speaking, this is the case for Romantic landscapes, provided the desire of the artist is to communicate the beauty of nature (and other things being equal). The training the artists received in the 18th and 19th centuries was essentially the same as that from the previous period: which was an adaptation of the academic method - originally developed for the study of the human person -for landscape. It transmitted the baroque visual vocabulary of form without departing from core Christian principles (although steadily becoming more and more detached from a Christian understanding of them). As mentioned before, baroque landscape employed control of focus and intensity of colour that corresponded to the way that the human person naturally perceives the world around him. The inclination in the 17th century baroque was to represent those areas where the colour is muted in sepia. This meant that they very often gave the appearances of very deep shadow everywhere that was not the primary focus of interest. This of course, is not always appropriate. To overcome this artists started to become more sophisticated in the range of colours they used for those areas rendered tonally. The great English artist, William Turner developed a striking answer to the problem. Drawing on the colour theory of Goethe, he developed a system in which he rendered form tonally, but in a variety of colours rather than just sepia. It is not easy to discern a strict format, but broadly speaking and as best as I have been able to discern it, in the foreground he used yellow for those areas in sunlight, and red through to deep red ochre and finally sepia for shadow. Then those areas that are in the distance he used blues for sunlight and, violets and blacks for shadow. All this is varied subtly dependant also upon the natural colour of the objects. The skill needed to combine all of this and yet still give the painting an impressional unity is immense. What I have described applies to land, building and trees. His skies are rendered in blues, greys and if painting sunsets, red and yellow; and seas in this system seem to sit between the two because the water reflects the light of the sea and land. It appears to me that in many of his watercolours, which would be painted quickly, he relies on this more (perhaps he is developing and perfecting the technique through them). In his oil paintings he uses this variation but the control is more subtle – after all the background areas, which these are, should be subordinate to the main foci of interest, which are going to be rendered more literally. Another feature of Turner’s art is the reduction of the area which is sharp focus (with a corresponding decrease in the areas which are painted blurred. The out-of-focus areas are painted as though in peripheral vision. Turner used to practice painting his peripheral vision. This accounts for the looseness of many of his works. However, he never abandons the points of focus altogether. The oil painting Snowstorm, left, for example, is almost all blurred blizzard, there is, nevertheless the sharp line of a mast and a daub of bright colour for the boat, so that the eye has somewhere to rest. Many of his later oils are painted as thin washes of colour, mimicking his watercolour method there are many of these in Tate Britain museum in London - I am not sure if Turner considered all of them finished although to the modern eye they look splendid. What is interesting is that to my knowledge the colour theory of Goethe is not consistent with ideas of modern physics, yet it works well in Turner’s paintings. It may be a lucky inspiration (or perhaps there is something to Goethe after all!). Regardless of the validity of Goethe’s theories, the success of the paintings is a tribute to Turner’s great skill and intuitive sense of what works once he has painted it. The paintings shown are watercolours except for Snowstorm, above and the two at the bottom of the series below, which are oils. When I decided I wanted to be an artist, I knew that I needed to train, but I had no idea where to go. I was so clueless that I started by looking for Catholic Art School under 'C' in the telephone directory. Pretty quickly I realised that no such place existed and as I searched and talked to people it became clear that I was going to have to work out how to train myself. I began by studying the traditional methods used to train artists and set about trying to apply these methods to myself. Where I knew that help existed I would go to people who could help me with specific requirements and ask. Most of these people wanted to see the preservation and development of their tradition, and once they realised that I wanted that too were enthusiastic to work with me. I was lucky in coming across Aidan Hart very early in my painting education (even before I was received into the Church). 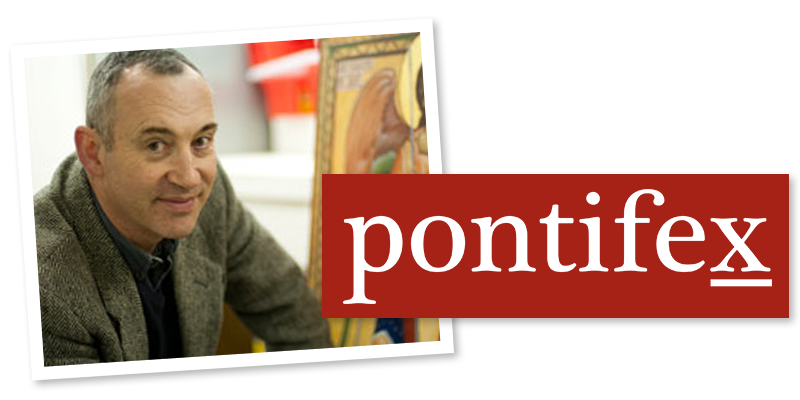 Aidan was self taught and when I attended a number of his week-long icon painting classes, he not only taught us what he knew but how he taught himself. So he was equipping those of us who wanted to know these things, with the insights that would enable us to continue development after the class. My own research and what I learned from Aidan and others seemed to confirm were common to all traditional training methods were written in an article: The Principles of a Traditional Art Education for Today. This had benefits in other artistic areas as well. I recently decided that I wanted to develop my landscape painting skills. I am interested particularly in the landscape tradition of the English watercolourists such as Constable, Turner, Cotman. I was ready apply these to myself so was going to start of programme that involved copying works of the these masters and direct observation of nature while trying to understand what the artists were aiming to communicate. By chance, I had a catalogue of an exhibition in London of the work of the Thomas Girtin, a contemporary of William Turner) at Tate Britain and in it there was a detailed description of how he was trained. Interestingly it was exactly academic theory and practice (as taught in the training of figurative art in the ateliers and academies of Europe) but applied to landscape. Reading this reinforced what I thought and also gave me insights that I could use of training for any other form, sacred art. Here is a summary. Thomas Girtin trained in England in the late 18th century and trained for three years from the ages of 14-19. He was apprenticed to the established artist Edward Dayes and began by doing supporting work (grinding pigments etc) and by watching his master painting. Only later he was allowed to copy his master's work. He was expected at this stage to pick up the idiosyncrasies of his teacher's style as a necessary stage in the longer term goal of his emerging with a similar but independent style. From the start he was given talks about art and especially the moral purpose of art. Consistent with academic theory and following Joshua Reynolds in his Discources given to the Royal Academy, Dayes announced that the artist only selects the best parts of the natural world in order to reflect an idealised Nature. In addition, Girtin was expected to read in order to form his taste. For his painting training, he would be introduced to colour by being asked to colour prints (so don't hesitate to photocopy and colour-in today!). He then progressed on to his own landscapes by working in the studio and creating amalgamations of different works by Dayes and others and drawings and sketches. In painting from nature, he would start to observe and sketch doing either line drawings or broad tonal renditions depicting scenes using sweeps in monochrome; through this he could start to control the sense of space by changing the intensity of shadow according the to distance from which it was viewed. He would also do repeated studies of individual items - bushes, trees and so on - both from works of others and direct from nature. After his apprenticeship, he was given patronage by the amateur artist James Moore and as part of this was given the job of converting Moore's drawings into finished paintings. This would be done in the studio. In his early work Girtin seems to have worked by creating a grey monochrome underpainting and then overlaid colour washes. In his later work he put colour directly onto the paper adding individual tints for shadows. As far as I can tell, paintings were not finished in situ, but in the studio. This is consistent with one stream of academic art (the classical baroque artists such as Caracci and Poussin) in which all finished paintings were studio works based upon drawings from life. this meant that all finished paintings were two steps from observed nature. 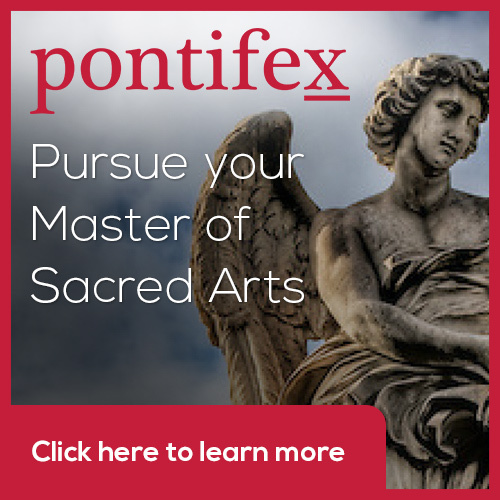 Why an account of teaching landscape painting in this regular column about sacred art? First, it exemplifies some general principles that can be applies by those wishing to teach or learn (by teaching themselves) and form art, including sacred art. Second, how demonstrates how part, at least, how an aspect of the wider culture can be a mundane expression of a culture that has the liturgy at its centre. Here is an artistic form that is derived from and pointing to the liturgical forms. It also shows how in regard to this part of it, there is no detachment between the culture of faith and the wider culture as had begun already in other areas and was to occur much more generally soon afterwards as the 19th century progressed. Third, we should note this is protestant England. The artists themselves may not have even been aware of the fact, or wished to acknowledge it, but they are agents of cultural evangelisation. The principles they are using is a direct transposition of those developed for the the liturgical forms of the 17th century baroque as part of the Catholic counter-reformation 200 years earlier. It is a demonstration of how when those forms that are integrated with the liturgy, and the liturgy is authentic, then it has power. What drove this was the sheer radiance of the beauty of the liturgical forms. Those who saw it and decided that they wanted art just like that. Conscious that it was a Catholic form underpinned by Catholic principles, they simply created stated them in a way that didn't change the sense, but meant that they weren't overtly Catholic. It was the Dutch who did this first in the context of landscape. This is the exact opposite of what happened in the 20th century, where so many Catholic artists looked at the popular secular forms (reflecting an anti-Christian ethos) and tried to express sacred subjects using these forms, leading to the disaster we are recovering from now. Interestingly, just as with their earlier Italian counterparts, the highest form of landscape was the architectural landscape. With relatively few Roman ruins to paint, they would look to the medieval castles and gothic cathedrals and abbeys around the countryside, many of course in ruins. So whether it was conscious or not, these artists were making an ideal out of the earlier great age of architecture, which unlike those in Rome, was an authentic Catholic architecture. Who knows how this might have affected the mood of the day? This last point is a cause for optimism today. We are undergoing a liturgical reform and we see, albeit in the early stages, a productive dialogue between Catholic artists, musicians and the Church that will in time create authentic forms that are integrated with the liturgy. When we see a flowering of this, I have confidence that the wider culture will be transformed too, just as happened in the baroque of the 17th century. Greens often fade in time, so while this is based, in the baroque mode on a sepia monochrome tonal underpainting, it is possible that the foreground would have been greener than it is now. Above: a Scottish border scene; and below: Kirkstall Abbey, Yorkshire.